Planning to commit a crime? Don’t have a partner to serve as a getaway driver? 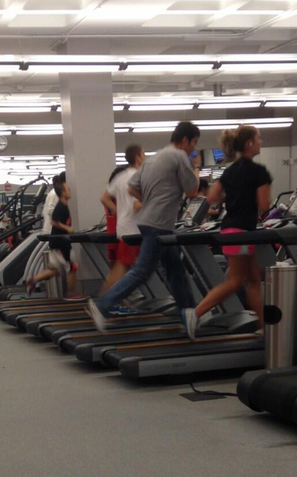 There is no better way to practice fleeing a crime scene than by running in jeans. I mean this HAS to be what these people are doing, right? And, yes, those are jeans. And, yes, those are jeans and boots. *Name the reference for this phrase and I will think you are especially awesome. Hint. I can judge them because of their choice of workout clothing but not because of their books. You know why? Because I sometimes study at the gym between sets too. Physical AND mental gains, I say. 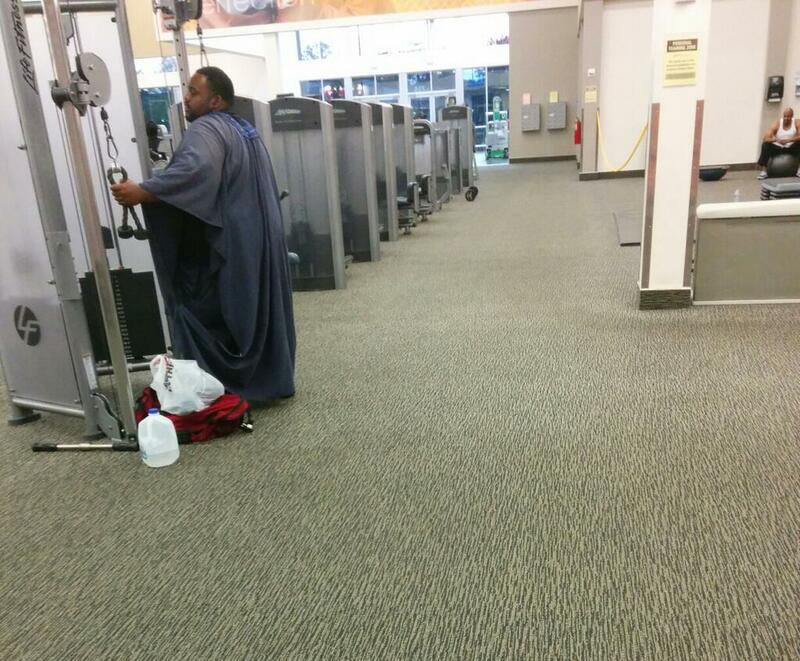 What is happening at my gym?! Denim is taking over my gym. I’m not sure exactly when it happened but, in the past two weeks, Sarah (who snapped this AWESOME photo of a guy sleeping) and I have been seeing people working out in them left and right. 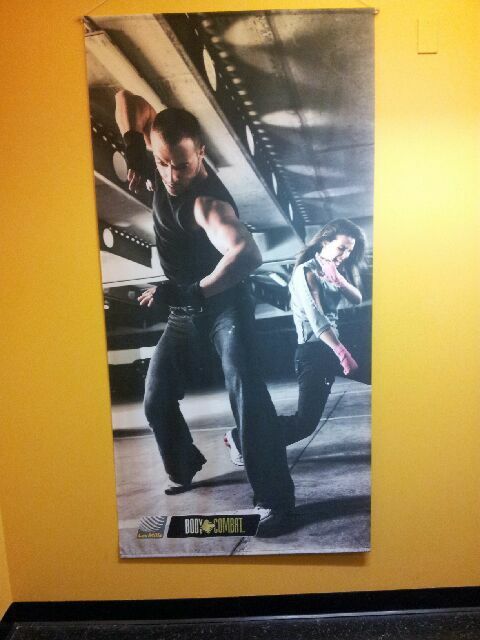 And I have walked past this poster in the stairwell a bazillion times and never noticed that the guy in it is IN JEANS. 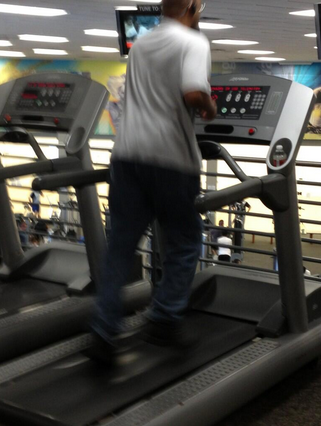 Is Golds Gym is sending out subliminal messages and encouraging this atrocious jeans-in-the-gym behavior? What do you think? You all know about my love for double denim photos, right? 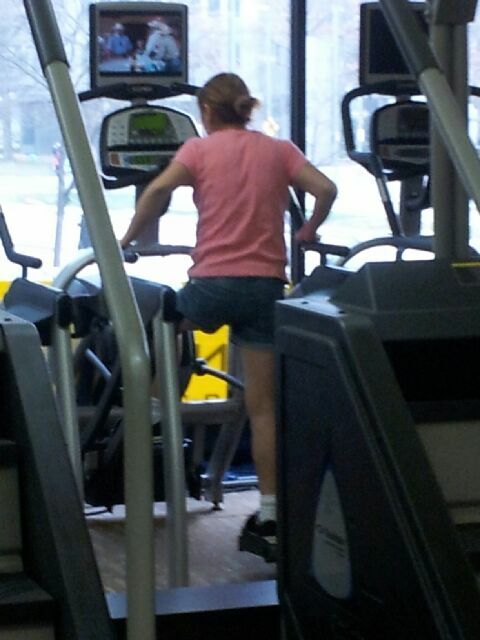 We’ve seen double jeans on treadmills and double jeans at the gym here and here. 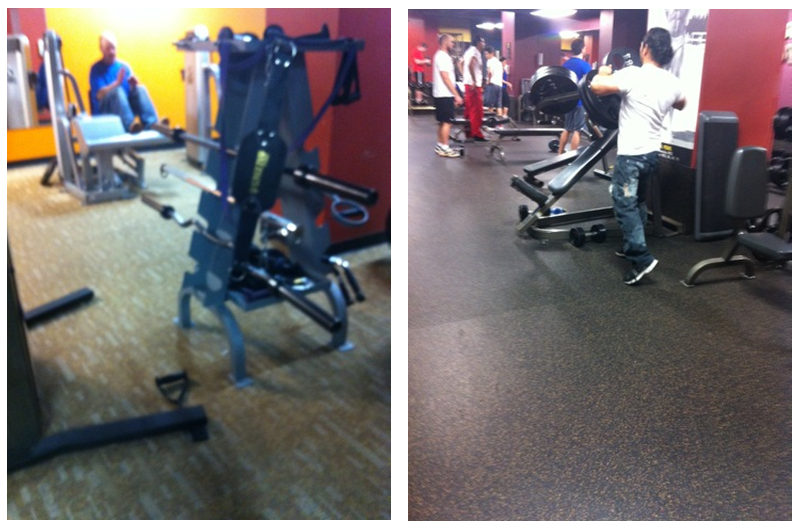 Today, thanks to Evan, we have two jort wearing dudes at the gym. Together. In one picture.